More often than not, people look past the fact that a skin routine is a very important part of their daily routine. You may ask why? Well our skin is the largest organ on our body so why shouldn’t you be giving it more attention than anything else. The exposure our skin receives daily should be more than enough to convince you to want to always baby your skin. 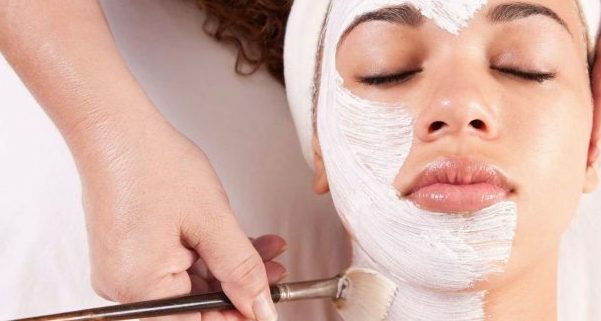 When it comes to our skin we want to keep it looking radiant, young, and healthy for as long as possible and that is why a daily skin routine and monthly facials are very important for our skin’s health. In order to start a skin routine towards flawless skin we must first determine a regular routine for our skin that will be suitable for it. You’ll want to determine what type of skin you have and in order to do that you will have to give yourself a little skin examination. 2) How do the pores on your skin look? Once you complete the quiz, keep your results to help you determine what type of products would be best suited for your skin type. Of course since this isn’t an in person consultation your results can vary compared to the basic determination below. 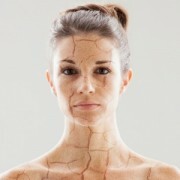 If your skin tends to have larger pores, its shinier, and you get minor to severe acne chances are you have oily skin. Skin that is matte, pores aren’t too large or small, and a skin concern makes your skin normal and depending on which choices you picked in question #3 can determine if you’re skin is normal to aging, normal to sensitive, etc. Skin has redness (not everyone), has sensitivities moves you more into the sensitive skin category depending on the severity. Skin sensitivities causes the skin to get red when it a product is too harsh on it. Tight feeling, flaky skin, with small, hard to see pores brings your skin type to dry. Generally, skin that is more dry with aging would be placed into the mature skin category but premature wrinkles are a concern in some people. Skin that is a mixture of pore size; shine and matte will put your skin type into the combination skin type. This means your skin is a mix of oily to dry (oily in some places, dry in other), normal to oily (shiny in T-zone: forehead, nose,chin, matte elsewhere), etc. if darker: hyperpigmentation (overproduction of skin pigment), caused when melanin produced too much and forms darker spots on the skin. As far as the others go they are fairly self explanatory. But if you are experiencing severe acne or premature aging you will want to get that checked out because the conditions may worsen if gone untreated. In order to determine skin concerns you can come in for a facial to receive more information on your skin and also to get a more in depth analysis of your skin. Like mentioned before this little skin type determination test is just to get a basic idea of where your skin type lies. Included in your skincare routine you will want to have a cleanser, toner, treatment, mask (once a week), and moisturizer (sunscreen in the morning). If you are looking to have a more simple skin routine all you would need is a cleanser, toner, and moisturizer (sunscreen in the morning). The importance of a mask is to give your skin an extra deep clean at home and a treatment product would be to help treat any skin concerns such as breakouts, excessive dryness, redness/sensitivity, anti-aging, scarring, etc. A toner’s importance is to help balance out the skin’s pH. There are also different types of toners depending on your skin type and concerns. Although having a daily skin routine is necessary to maintain upkeep on the skin, monthly facial are still crucial to getting flawless skin. 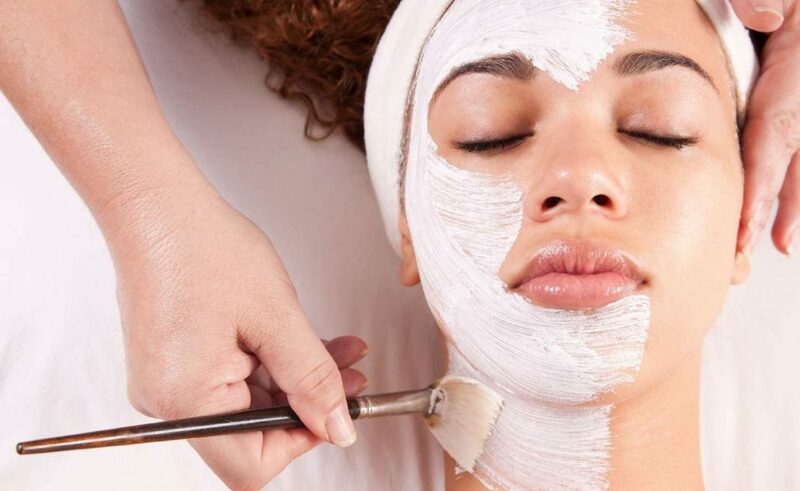 Facials help to do a more thorough and deep clean and also if you have any skin concerns that you are unsure about you can ask your Esthetician at this time. We are usually able to answer the questions and concerns you may have to help you gain or keep flawless skin. Remember throughout your daily and monthly skin maintenance you want to make sure you aren’t overdoing any of your routines. You want to wash your face morning and night but I would personally recommend having a more complex night time routine since your skin has undergone all the environmental stressors throughout the day and will need more of a deep clean at night more so than in the morning. Hopefully, after determining your skin type and knowing a bit more about how to take care of your skin, you decide to make a change and start to give your skin the attention it so kindly deserves. 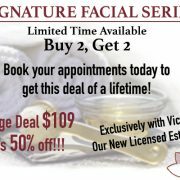 Start your daily routine and begin to come in for monthly facials to help keep your skin looking great! You will start to notice the amazing difference! It is time to start a new journey: the journey to flawless skin! Here at Back to Bliss, all our products are from natural sources. We make sure that we stay a clean, environmentally friendly place, and in order to achieve that our skin care products are free of known chemicals, fragrance free, and vegan. Knowing this you are then aware that our two skin care lines (Bindi and Hylunia) are safe for your skin and they will help you to achieve the flawless skin you would like. 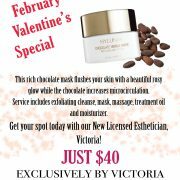 Come and see me at Back to Bliss and I can get you started on your journey to flawless skin!